Everyone, or at least every one among us, knows just how important it is to build a list of e-mail addresses for a good Internet marketing. Now, many budding Internet marketers today make the wasteful mistake of overlooking their single most powerful tool – the list of e-mail addresses they have compiled. Think about it. You already have the e-mail addresses of the people who may be interested in what you have to offer. So why not sell them related stuff via those e-mail addresses? They gave you the consent to use them for communication, after all. Of course, you should know your limitations too, but that’s another discussion altogether. Of course, you don’t just come up with a list of e-mail addresses. It takes time and the consent of the people. That is where this book comes in. You are holding, in a manner of speaking, the guidebook to a better Internet marketing business. 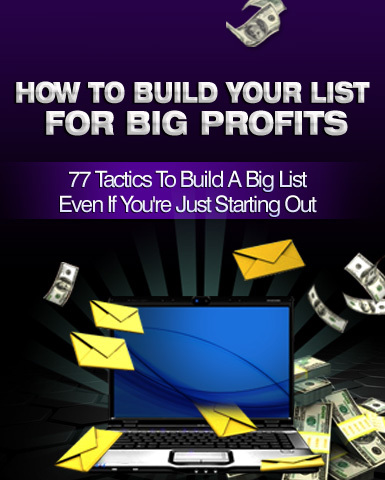 This will help you build your list via various techniques, detailed across 77 tips.